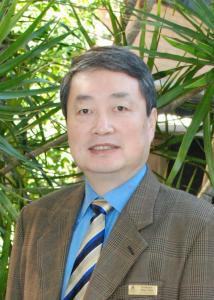 Professor Chen Chen was appointed Professor and Chair of Endocrinology from 2008 in the University of Queensland after serving as the Head of the Endocrine Cell Biology at the Prince Henrys Institute of Medical Research, Melbourne, 1999-2007. He is a Principal Research Fellow of Australian NHMRC. After training as a Medical Doctor at Shanghai Medical University (now Fudan University Medical School), he took a MSc (research) of Physiology at Peking Union Medical College and Chinese Academy of Medical Science, Beijing and then PhD in Neuroscience from the University of Bordeaux, France in 1989. Dr Chen then worked in Glaxo Research Institute in the U.S.A. as a senior postdoctoral research fellow. He went to Melbourne, Australia in 1992 to continue his research in Endocrine Cell Biology at the Prince Henrys Institute before joining the University of Queensland in 2008. Dr. Chen's Research focuses on the link of cell biological properties and functions. Functions of cells may be the secretion of hormones in endocrine cells, contraction and dilation of cardiomyocytes, or proliferation and apoptosis of cancer cells. Endocrine hormones are key elements regulating cell functions and also depending on normal cell functions to maintain a normal profile of every hormone.